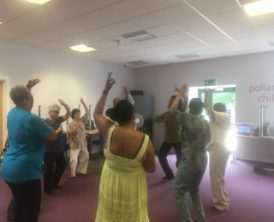 The co-op provided funding for the “Fitness Through Music & Dance” program from their Local Community Fund which aims to make a difference in the lives people in their local communities. Bollywood Fusion Dances The first six classes of the Fitness through Music and Dance Project took place at Pollards Hill Library and was well attended averaging 18- people per class. 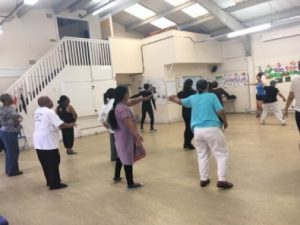 First Steps: The Ballroom/Latin classes took place at St. Marks Family Centre Mitcham. 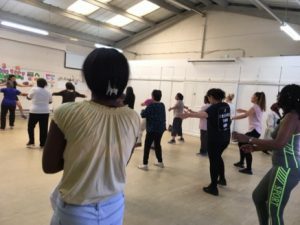 The first lesson was an introduction to the lively Latin American dance, the Cha Cha, with tutor Styliana. © 2019 Ethnic Minority Centre.